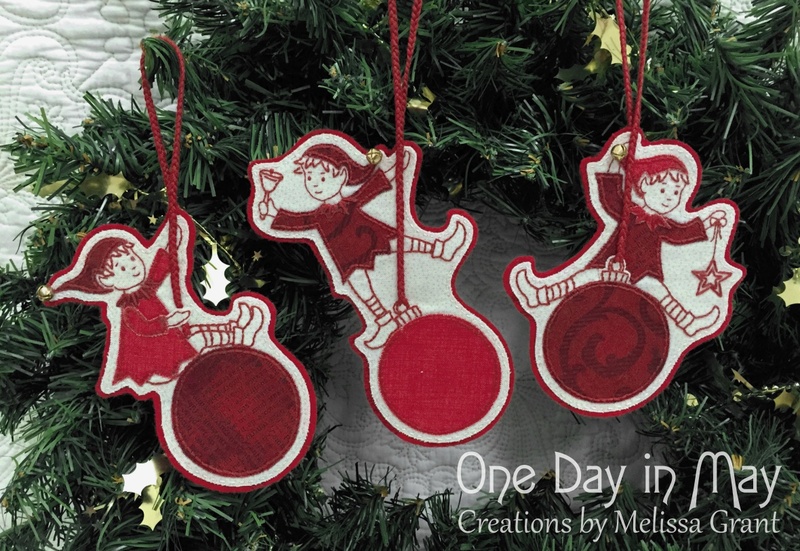 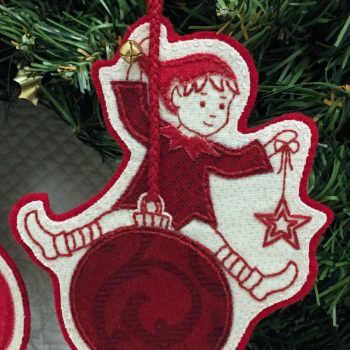 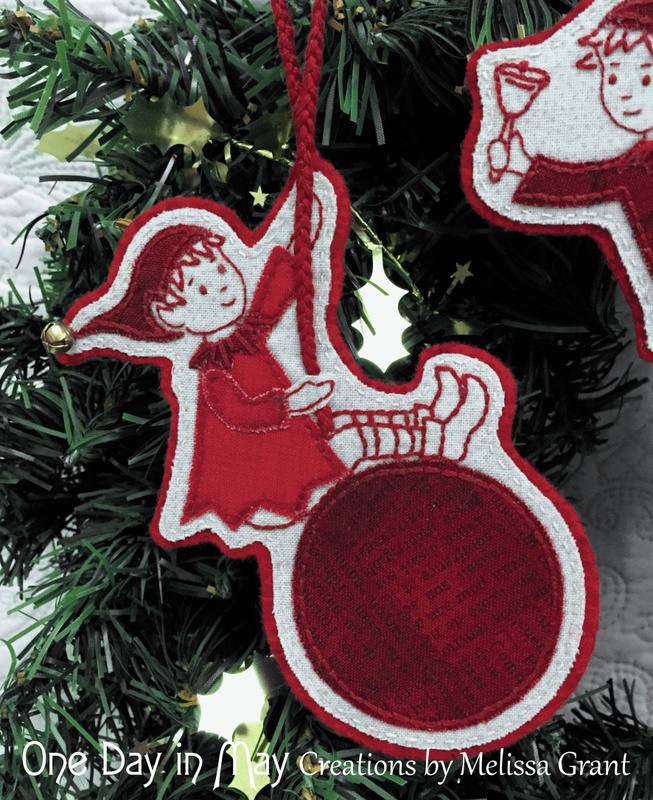 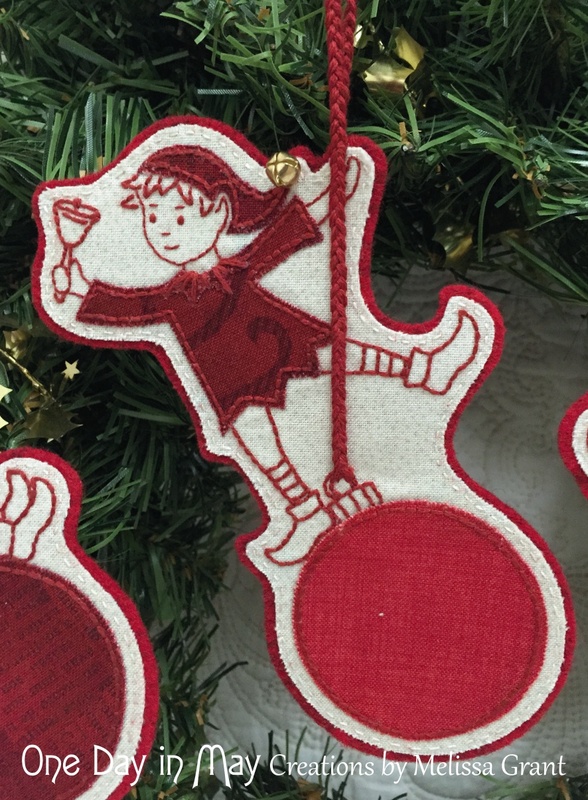 – Add these cheeky chaps to your Christmas tree or hang them together to create a festive mobile or door hanger. 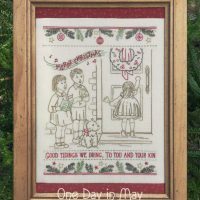 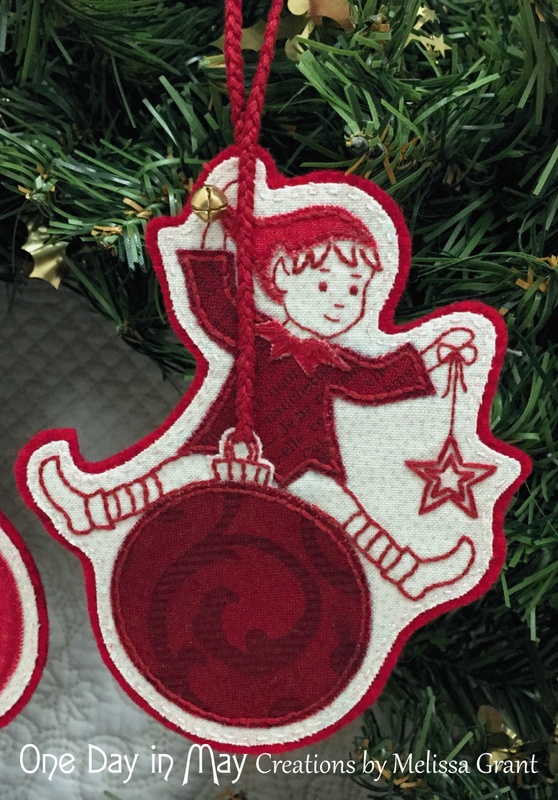 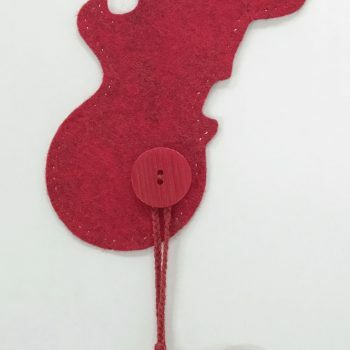 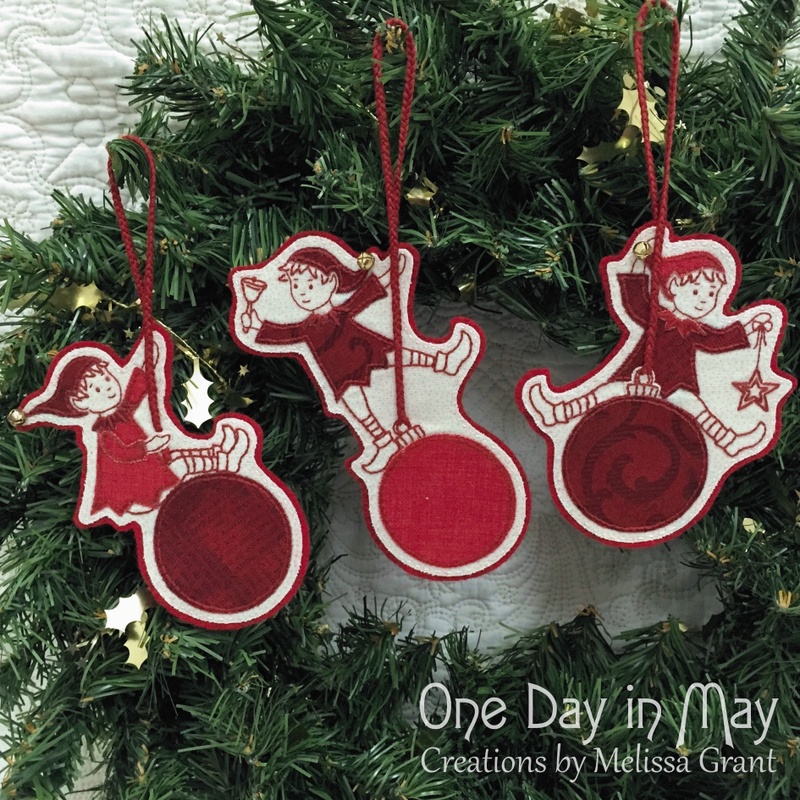 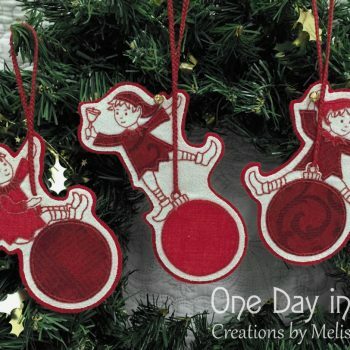 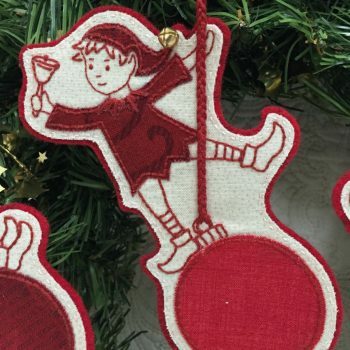 These decorative hanging elves combine fusible applique with redwork embroidery, woolen felt and braided embroidery thread. 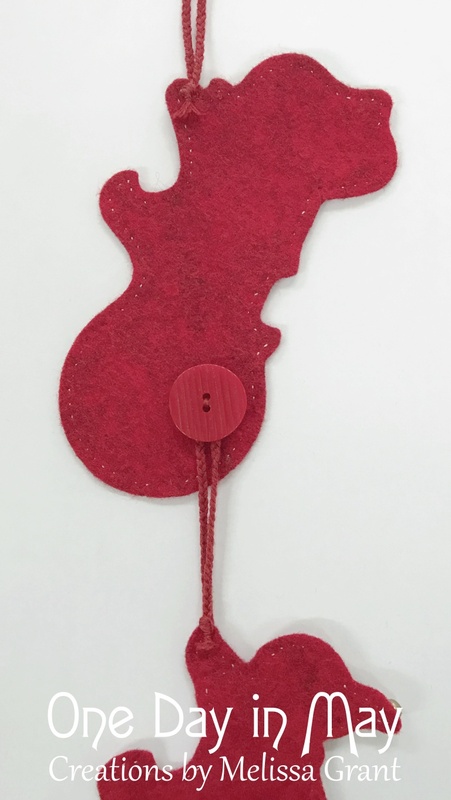 Tiny bells are added to the tip of each hat to complete the trio. 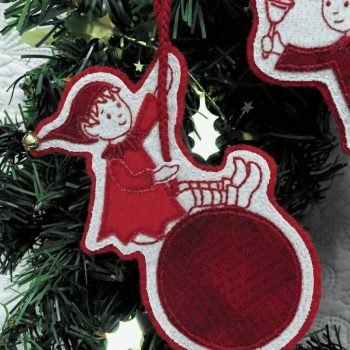 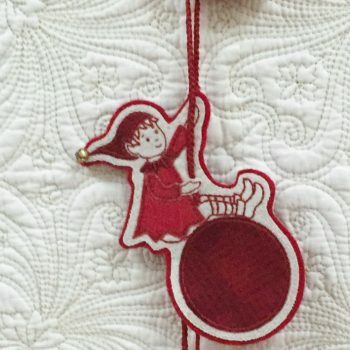 Buttons are sewn to the back, enabling the elves to be easily linked together as a mobile or taken apart for individual Christmas decorations. 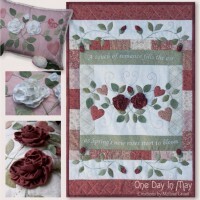 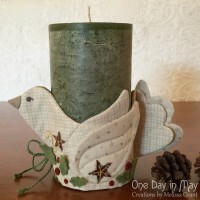 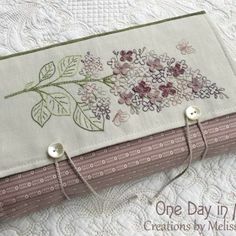 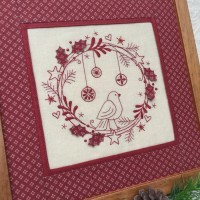 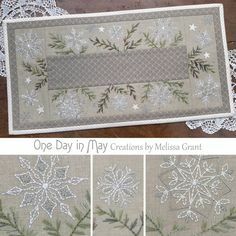 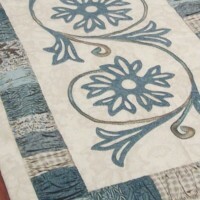 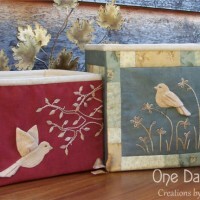 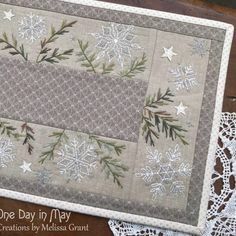 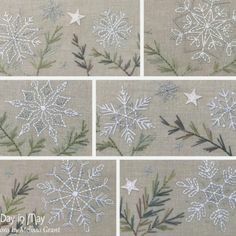 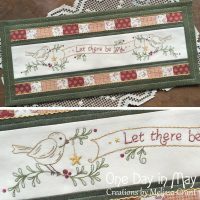 – Bring a touch of embroidered cheer to your festive home this Christmas or create as a Christmas gift for someone dear.